Epizoanthus couchii can be distinguished by its long transparent tentacles (24-32 in number) each with small opaque white terminal knob. 12-16 well defined white teeth on the margin of the disk (visible on the photo) are also characteristic. 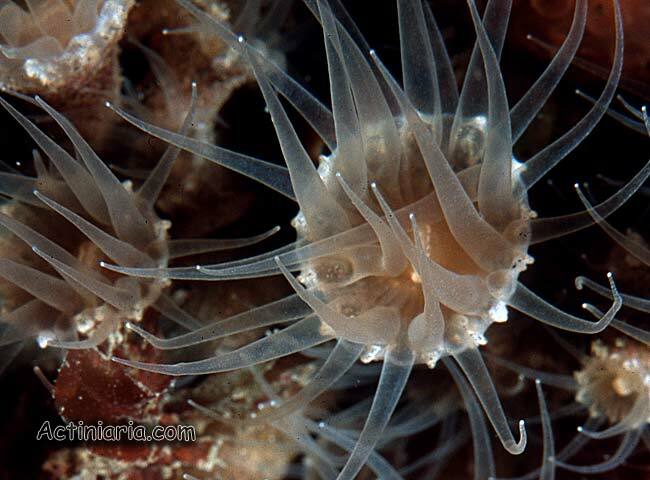 Epizoanthus couchii is knows from southern coast of British Islands, north France and Spain. Epizoanthus wrightii Haddon and Shackleton 1891 is a synonym of this species.